Actress and outspoken Christian Letitia Wright was the highest box-office earning star of the year. 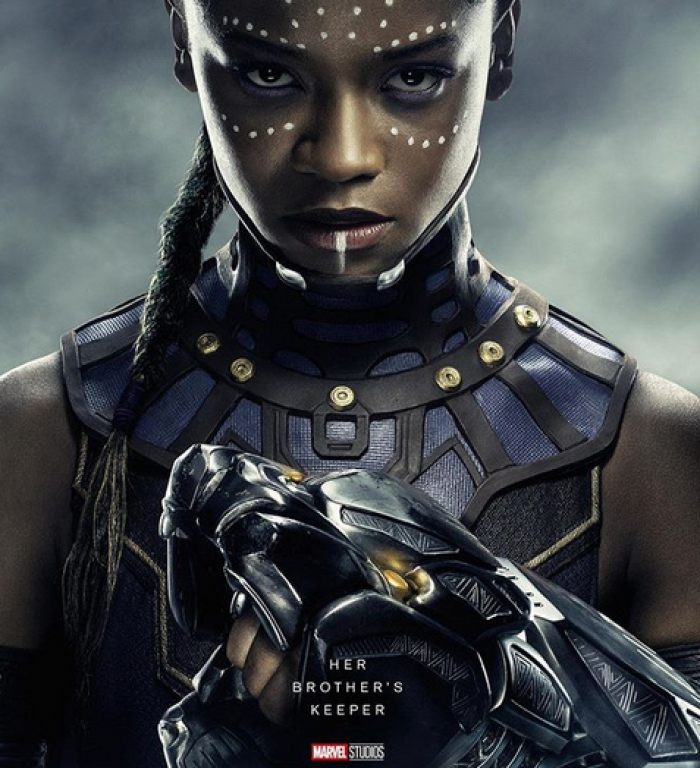 Known for her supporting role in the 2018 record-breaking blockbuster hit “Black Panther,” Wright out-earned her action-hero cast members, according to Fandango new report. Wright managed to beat out her Marvel costars Chadwick Boseman, Winston Duke, Danai Gurira, Florence Kasumba and Sebastian Stan. The 25-year-old also surpassed Hollywood heavyweights, Samuel L. Jackson, Chris Pratt and Josh Brolin. Fandango's "highest box office earning" list is calculated by how much money the actors' movies made, not how much they were paid. Wright joked about that distinction on Twitter. "Black Panther" is currently #9 on the top grossing movies of all time list and was nominated for a Best Motion Picture - Drama Golden Globe. The highest paid actor in 2018 wasn't even paid for acting, according to Forbes. George Clooney didn't star in any films but sold a tequila company for about $1 billion. Before the breakout role, Wright starred in films like "The Commuter" and "Urban Hymn" along with U.K. shows "Top Boy," "Doctor Who" and "Humans." In a past interview, Wright admitted that she once struggled with glorifying acting. So before her successful year, she took a break from the limelight to focus on her Christian faith. "I was going through a lot, a very difficult time in my life and I just needed to take a break from acting because I really idolized it. So I came off from it and I went on a journey to discover God and my relationship with God and I became a Christian," Wright told U.K. ITV show "This Morning" in February of last year. "It really just gave me so much love and light within myself. I felt secure and I felt like I didn't need validation from anyone else or from getting a part. My happiness wasn't dependent on that, it was dependent on my relationship with God," she added. Since then Wright has made it known that it’s her faith in Jesus that said keeps her focused. "I'm centered in who I am and I'm really grateful. I'm not perfect," she continued. "Especially as a Christian, you're not perfect. But you're walking every day and trying to just stay connected and yeah it's helped me a lot so I'm really grateful." The star previously opened up to The Hollywood Reporter and explained that a trip to a Bible study helped her out of the “very dark place,” which is why she is so solid in her Christianity today and chooses her roles through that lens. "I pride myself on keeping it the same as when I came into acting, to not just change the lane and take everything, just because it may have a big name or a big budget," Wright maintained. "Am I right for this part? Is this what I should be playing? If something feels off in my spirit, I know that's God's way of saying, 'You shouldn't do that.'"